NF (5008) - If not break 4990 and trade above 5010, then it take to once again 5040-5055 and after that if able to trade above 5055, then only it can move to 5095-5115. down side support 4940-4925. STER (630) - as per previous post, once again it took support around 600 (low 605) and from there bounced back 633. so now the support are remain same at 600. now above 634 upside face hurdle at 655-665. Close below 600 next down target of 545 remain intact. TATAMOTORS (728) - As per previous post, it exactly hurdled at 775 from there it came down to 723 . now what ? if not take support at 717 then it once again test the previous low 675-670. 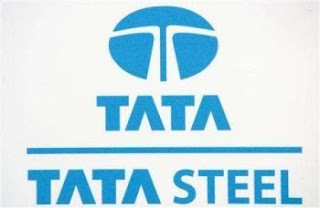 TATASTEEL (463) - As per previous posts, below 487, first down target 450. as you know last two days it took support at 450 at yesteday from there it went upto 466 now what next ? if face hurdle at 476 and after that 487. below 450, already down target mentioned ie. 433-430. TCS (733) - Below 735, come down to 701-696. minor support at 717.